The vital spirit of Hawkwind is alive in these Norwegian space pirates. After losing their way for a few years, Seid have returned from the cosmic void. Picking up where they left off, the band presents a strong blend of hard rock and psychedelia, livened up by a few jazzy surprises that have made “Magic Handshake” an album I can warmly recommend and will be returning to in the future. Seid have a strong sense of character rooted within the space rock tradition, and Hawkwind is the first band that comes to mind when hearing “Magic Handshake”. Although much of the album pursues a mellowed style, the opener “Space Pirates Return” explodes with vintage hard rock guitars and sci-fi sound effects not unlike those that might be found in a campy 1950′s film. It is very appropriately titled, considering that this is the first we have heard of the band in several years, and the instant energy demonstrates that they aren’t going to wait around any longer. Seid balances vintage charm with forward-thinking ambition smoothly; a single look at the expansive cast of musicians is a hint towards the variety of sounds and moods explored here on “Magic Handshake”. Stina Stjern (an accomplished singer-songwriter with some great solo material of her own) offers her vocal charm on “Decode The Glow”, which takes a more melodic approach to the band’s music. Later on, saxophones become evident, and this is where Seid begins to creep out from the space rock formula, and into something of their own. Although the saxes are never given the opportunity to shine through the dense cosmic rays, they add a keen texture that helps to set Seid apart from the faceless psych acts. The production is well-chosen for their choice of style. It is organic and not entirely clear. At times, “Magic Handshake” can feel a little chaotic, but it lends a more challenging experience to the music than the space rock I’m normally exposed to. 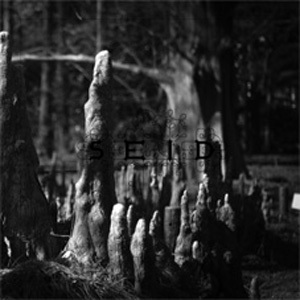 Seid impresses most in their ability to fuse the ‘classic’ sound of prog rock with a modern sound. Like Dark Suns’ “Orange” or Opeth’s “Heritage” record from last year, there’s never a question where this band’s influences lie, but “Magic Handshake” does sound like a modern heavy psych record. The instrumentation is lively and diverse, and the guitars enjoy some of the richest guitar tones I’ve heard in a while. There’s no question about it; Seid are back, and they’re a band to look out for.